Yukihiro Matsuyama is Research Director of the The Canon Institute for Global Studies (http://www.canon-igs.org). 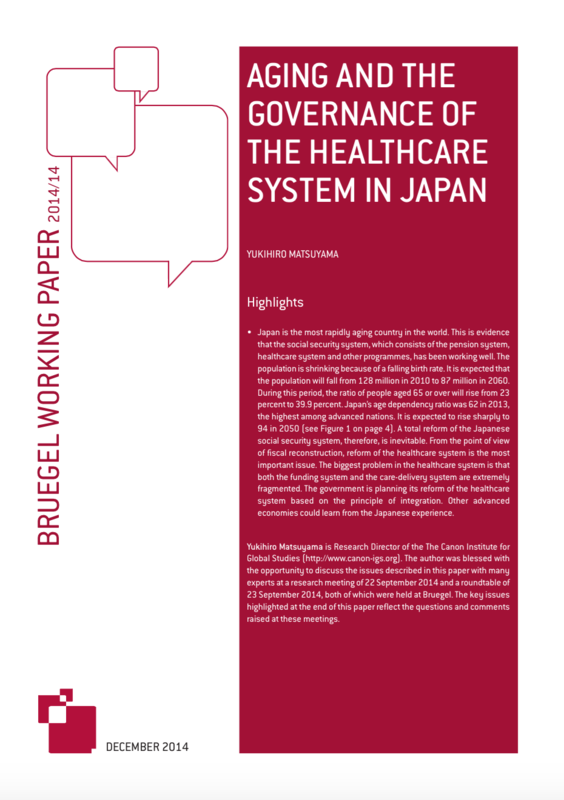 The author was blessed with the opportunity to discuss the issues described in this paper with many experts at a research meeting of 22 September 2014 and a roundtable of 23 September 2014, both of which were held at Bruegel. The key issues highlighted at the end of this paper reflect the questions and comments raised at these meetings. Japan is the most rapidly aging country in the world. A total reform of the Japanese social security system, therefore, is inevitable. Other advanced economies could learn from the Japanese experience.